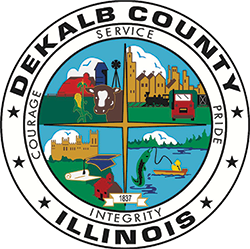 In order to reconstruct and maintain DeKalb County roads and bridges, it often becomes necessary to close sections of roads. Depending upon the work being performed this may be simply for a short period of a day or may extend for months. The Department will make every attempt to keep the general public, schools, postal service and emergency services aware of the closures that are for extended periods of time, either through this web site and/or news media. For short term closures, it may not be possible to so inform the public, however, during maintenance operations, when crews are working on the roads…flagmen will be utilized for safety purposes. The County Highway Department asks that the traveling public obey the flagmen, signs and barricades placed for such purposes.